We want to hear about your experience with us. Click on the HomeAdvisor icon or the "write a review" button & you will be directed to our company review page with HomeAdvisor. There you will be able to read what other customer's have had to say. Also, you will be able to leave a review about your experience. We appreciate each & every customer. Feed back is the only way we can improve. If you are happy with your experience then leaving us a review is the best compliment! 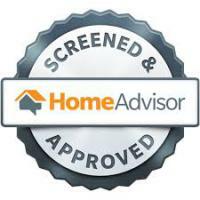 We have been screened & approved by HomeAdvisor, which means background checks have been done on all employees & checks of our license's & insurance's are up to date & in good standings. When you hire JUDD'S A/C & REFRIGERATION you are hiring people you can trust. What our customers have to say is extremely improtant to us. If you have had any experience with us that you are not happy with, please click "contact the owner" below. This will pull up a page where you will be able to send an email directly to the owner's personal email & your concern will be addressed quickly. We have a refrerral program for our customers. When you refer someone to us, make sure they tell us you sent them. Once hired we send you a special seasonal coupon as well as $25 cash as our way of saying "Thank you!" Word of mouth is the best advertisement. A referral or review is the best way to let others know & us that you were happy with our services. If you were not satisfied with any part of your experience with JUDD'S A/C & REFRIGERATION then please contact us directly info@juddsacr.com & we will be in contact as soon as possible to resolve any issues you had. Please contact us & let us know. We work hard to have great customer service and strive to continue to get better. I am very impressed with this company. JUDD'S A/C has great, fast and friendly customer service with affordable prices. They went above and beyond my expectations. They were assigned to me by my home warranty company and worked with them to save me money. I highly recommend them! Jason is the man! He came out on a Sunday and worked with my home warranty company to save me a boatload of money! Karen is very responsive and communicated well regarding the details of the job and appointment times. They are honest and trustworthy. Jason does a great job at explaining in detail the job he is doing. Their invoices come with pictures of the job before, during and after so you know what was done with your system. They were assigned to me as a second opinion by my home warranty company. Jason not only fixed my problem that same day but was honest and saved me thousands of dollars! Also, they did not charge me an arm and leg for R22 refrigerant. They were over $30 cheaper per pound!!!! I will call them anytime I need help with type of work. I highly recommend them and have referred them to several family members and co-workers. All who were very impressed and happy with their service and savings! Best HVAC company in the area! 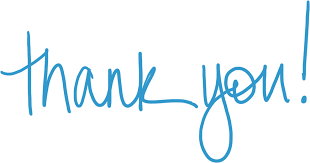 Honest, friendly, excellent workmanship, very knowledgeable, BEST customer service and the only HVAC company I will ever use or recommend. Jason and Karen went out of their way to work around my schedule and saved me hundreds of dollars. I highly recommend you hire them for a second opinion before spending a dime with another company. You won't regret it! Tell us and others about your experience with JUDD'S A/C & REFRIGERATION. Fill out the form below with a comment, review, questions or concerns. If needed you will be contacted within hours. If you do not wish to have you name listed on our website, please write homeowner at the top of your message! !